Of course, YouVersion.com and the Bible App now have other Reading Plans—more than 200, in fact, including many in different languages. When Remembering You arrived in the mail, I was ready to read something different - I was not disappointed. This book, tells the tale of a young journalist who travels to Europe with her grandfather, a World War II vet, on what will probably be his last journey to a large piece of his young adult journey. Remembering You is a mufti-layered story. Not only does it follow Ava's journey to find out more about herself - as a person, journalist and granddaughter, but also Jack's journey to put away the ghosts of the past. This book was powerful. It put a new face on WWII and the living history that exists because of the brave men and women who took part in that effort. It also helps explore the power behind family relationships that span the generations. During this trip, Jack and Ava not only find out information about themselves, but also discover new things within their relationship. While this book does have a "romantic" twist - when Ava rediscovers a relationship Dennis, the grandson of her grandfather's best friend, the romantic nature is just one of the layers of the tale. On a scale of one to five, with five being the highest - I give this book a solid four. It kept my interest and it gave me some "meat" to think about. It was also interesting, at how this book "opened" my eyes to a variety of WWII stories - which have crossed my path in the last month.While a novel, this book might also challenge you to sit down and talk to a family member to capture their role in history. 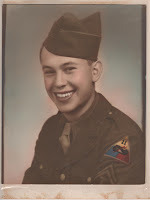 In the last ten years since I started interviewing veterans for my WWII novels, most have passed away. Some of them—realizing their days on earth were coming to an end—returned to Europe one last time with their family members to walk along paths they've never forgotten. Those trips inspired my most recent novel, Remembering You. One of the most amazing experiences was when I received an email from a woman named Hana. She'd heard of my book and knew I'd interviewed some of the veterans. She asked if I'd interviewed any medics. Then she told me an amazing story. Hana was born on a cart just outside of Mauthausen. Her mother had survived being a prisoner of another camp and was transported to Mauthausen at the end of the war. Hana was just three weeks old when the Americans arrived, and she was very ill. Because of the filthy conditions she got a skin infection and sores covered her body. No one expected her to live. Yet one of the medics saw the small baby and knew he had to do something. Even though it took most of the day, he lanced and cleaned all Hana's sores, saving her life. Over the years she'd wanted to find the medic, but didn't know where to start. I was amazed by Hana's story and told her I knew one medic—maybe he remembered who that man was. I gave Hana the contact information and I soon heard the good news. My friend LeRoy “Pete” Petersohn was the medic who'd saved her life! The two were soon reunited! After all these years Hana was able to look into the eyes of the man who saved her and thanked him. After all these years Pete was able to meet the woman he saved. “Baby!” he called out when he met her. LeRoy "Pete" Petersohn & Hana, reunited! Remembering You is a work of fiction, but the experiences of the men are true. The experiences of the main character, Ava, are also true-to-life. I was busy with life when God pointed me to an amazing story, and to even more amazing men. I'm so thankful I took time to listen and care. I'm so thankful I allowed these men to share what … and who … they remembered most. 35-year-old Ava Andrews' dream job is interrupted by an unusual request--fulfill her 84-year-old grandfather's last wish by joining him on a battle site tour of Europe. Ava is sure her boss will refuse her request. But, instead, he gives her a directive of his own--to videotape the tour and send it back as mini-segments for the show she produces. As if juggling these two things isn't hard enough, Ava is soon surprised again ... twice. First, Ava and Grandpa Jack arrive in Europe, only to discover the tour is cancelled. Unwilling to let down her grandfather or her boss, Ava and Grandpa Jack head out on their own. his grandson Dennis. The same Dennis who just happens to be Ava's first love. 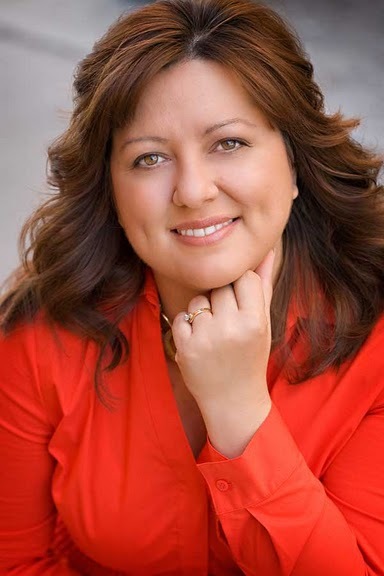 Tricia Goyer is the author of thirty books including Songbird Under a German Moon, The Swiss Courier, and the mommy memoir, Blue Like Play Dough. She won Historical Novel of the Year in 2005 and 2006 from ACFW, and was honored with the Writer of the Year award from Mt. Hermon Writer's Conference in 2003. Goyer's book Life Interrupted was a finalist for the Gold Medallion in 2005. In addition to her novels, Goyer writes non-fiction books and magazine articles for publications like MomSense and Thriving Family. 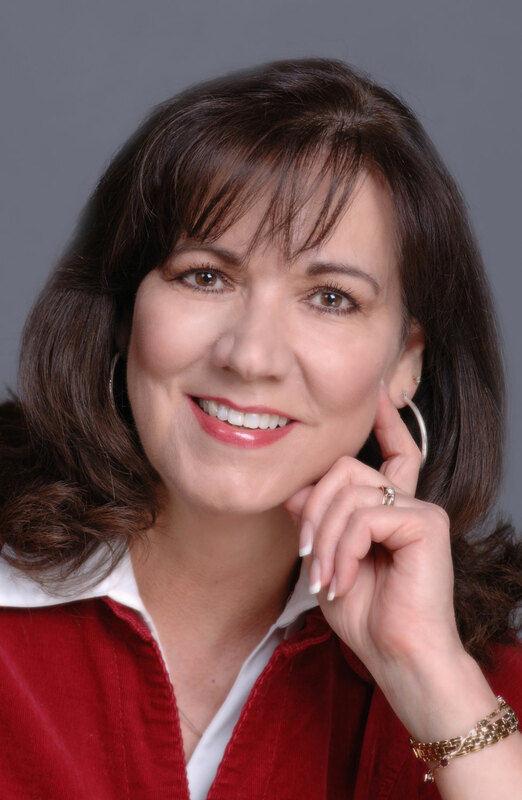 Goyer is a regular speaker at conventions and conferences, and has been a workshop presenter at the MOPS (Mothers of Preschoolers) International Conventions. On her weekly radio show, Living Inspired, she shares stories of inspiration and encouragement. 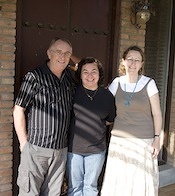 Goyer and her family make their home in Little Rock, Arkansas where they are part of the ministry of FamilyLife. Read more about this book - and an online excerpt here! Past Reviews of Goyer's Work! Win a Kindle Touch for YOU and a Friend from Tricia Goyer! During the first half of the party Goyer will be chatting, sharing a sneak peek of her next book, and giving away a ton of great stuff. Then she'll head over to her website for a Live Chat! Readers will be able to chat with her via video or text. Enter today by clicking one of the icons below. But hurry, the giveaway ends at noon on November 29th. 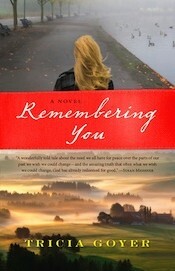 Winner will be announced at Remembering You Facebook Party on 11/29. Goyer will host an author chat (on Facebook and Live from her website) and giving away copies of her other WWII books and gift certificates to Starbucks and Amazon.com. So grab your copy of Remembering You and join Goyer on the evening of the 29th for an author chat, a trivia contest (How much do you know about WWII?) and lots of giveaways. It's been said that the holidays can be the best of times for many, yet be the worst of times for some - facing pain, loss and more. In Remembering Christmas, Dan Walsh explores how life changed for a family as the result of one Christmas. Through flashbacks (from present time to the 80s), Walsh tells a tale that reminds people about the value and importance of family relationships. Remembering Christmas is not a traditional "Christmas" tale, yet is is a delightful story that is full of Christmas spirit and love. If you are looking for a simple, yet warm story to read, then check out Remembering Christmas. The story will help brighten your spirits and put you in a jolly mood. 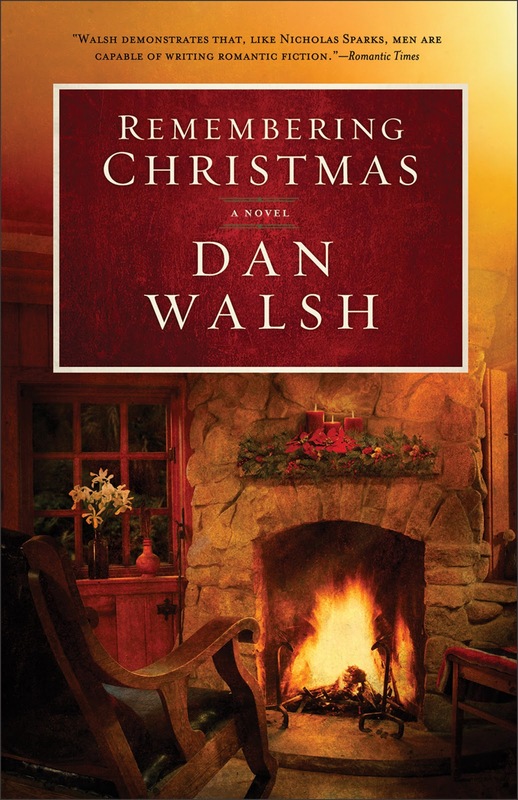 Dan Walsh is the award-winning author of The Unfinished Gift, The Homecoming, The Deepest Waters, and Remembering Christmas. It's beginning to look a lot like .... Christmas! If reading Christmas novellas, then Melody Carson's newest offering, The Christmas Shoppe, will fill you heart with the holiday spirit. 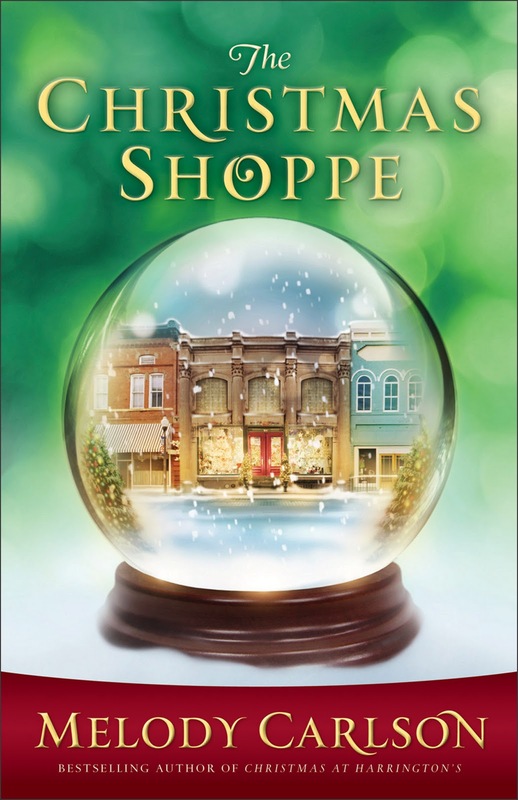 Set in the fictional town of Parrish Springs, The Christmas Shoppe tells the story of a town full of people who are suffering from a "lack" of Christmas spirit. When a stranger - Matilda Honeycutt - moves in to open her Christmas Shoppe, life changes for the good for the people of Parrish Springs. Through her small, charming book, Carson explores a different tale for Christmas. A story that encourages people to confront the pain of the past, in order to move into the joy of the future. On a scale of one to five, this book is a solid and cheery three. It's a tale that has the quality of a warm, cozy cup of hot tea - just perfect for an evening read in front of a roaring fireplace. Melody Carlson is the award-winning author of over two hundred books with sales of more than five million. She is the author of several Christmas books from Revell, including the bestselling The Christmas Bus, The Christmas Dog, and Christmas at Harrington's, which is being considered for a TV movie. 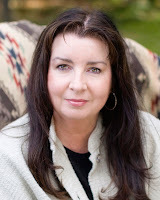 She is also the author of many teen books, including Just Another Girl, Anything but Normal, Double Take, The Jerk Magnet, and the Diary of a Teenage Girl series. Carson was nominated for a Romantic Times Career Achievement Award in the inspirational market for her books in 2010 and 2011. She and her husband live in central Oregon. For more information about Carson visit her website at www.melodycarlson.com. What would you do if you had wealth, a substantial job, a comfortable life as an ex-pat working in China and well, everything you could want in life? What would you do if the still, quiet voice of God whispered in your heart that there was something more for you to do? Could you walk away from the security of your job to take care of the "least of these" in a foreign country? For Robin and Joyce Hill, the answer is a resounding yes. 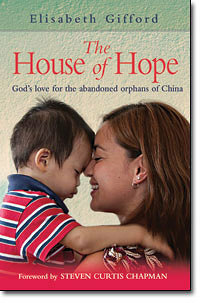 Together, along with their children, the Hills have worked to bring one simple word to orphaned children in China - hope. Along the way, their journey has led them to cross paths with many people - including Steven Curtis and Mary Beth Chapman - and help hundreds of children. In The House of Hope, journalist Elisabeth Gifford, tells their tale, and helps people understand just what it took for the Hills to accept the calling that God has placed upon their lives. This book, written at times simply in a mater-of-fact style, takes the readers through a straight forward account of how the Hills responded to God, built and lost their first dream, and then, gained more than they could imagine. Along the way, readers are invited to read the stories of several children who not only found the medical help they needed through the Hills' care, but also found their forever homes through adoption. Because I read Mary Beth Chapman's memoir, I was familiar with how Maria's Big House of Love was established. What I didn't know, is role the Hills' had in its formation. Gifford's book brought new life - and understanding - into that story and more. Jesus challenges Christians to take care of the "least" of these - specifically widows and orphans. Joyce and Robin Hill took up that challenge, and because of their hard work and dedication, countless children have been treated with love, respect and more. On a scale of one to five, this book is a six. I simply couldn't put it down. If you have a heart for children, are interested in adoption issues, or just simply want to see how people are doing amazing things in another country, then pick up The House of Hope. It just might challenge you to do something in your own backyard. What began as Hope Foster Home is now New Hope Foundation. As they continue their work, the Hills enjoy support from major corporations and high-profile philanthropists as well as the trust of the Chinese authorities. The Hills' story is an inspiring example of God's care and provision for those whom society does not value. Learn more about Hope Foster Homes here: http://www.hopefosterhome.com. "I strongly support Robin and Joyce Hill's New Hope Foundation which is saving so many orphan lives in China. 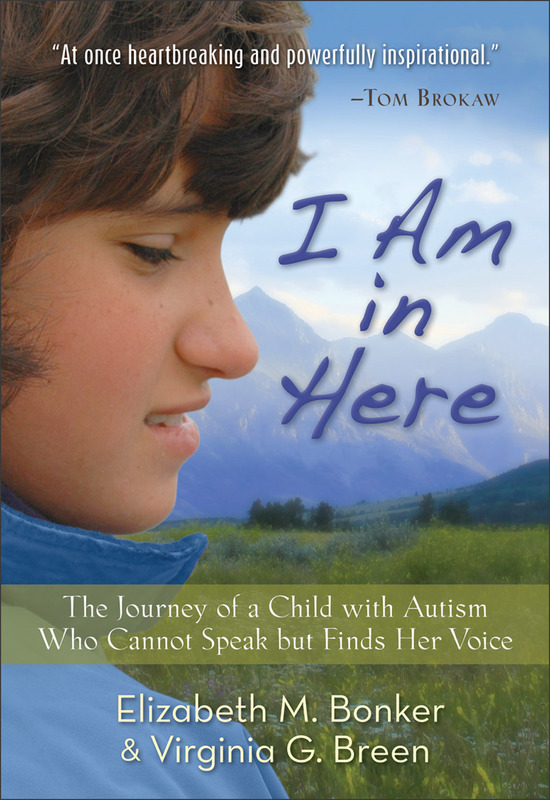 Read this amazing story of God's grace and accept the challenge to make a difference!" "I had the privilege of going to China and witnessing the work that God is doing through Robin and Joyce Hill. They are wonderful servants of God who lovingly care for the 'least of these.' I hope that many will read this book and consider their example." - buy a book for yourself and everyone you know. This book is a gift that gives a gift. Elisabeth Gifford is a journalist who has written for the London Times and the Independent Newspapers. She lives in Kingston, England, and teaches children with dyslexia. The publisher is sponsoring a $50 "GET / GIVE" GIVEAWAY: One winner will receive a $50 Amazon.com gift certificate for themselves AND $50 will be given in the winner's name to Hope Foster Home. FACEBOOK THIS: The House of Hope: One couple abandons a comfortable life to rescue abandoned children. Robin and Joyce Hill have helped over 1300 Chinese orphans with severe medical problems. Purchase a copy for everyone you know - the book is a gift that gives a gift. 100% proceeds to help support the work at Hope Foster Home! Learn more here: http://litfusegroup.com/blogtours/text/13438821 Share this for a chance to get a $50 Amazon.com GC and $50 in your name to Hope Foster Home! Details: http://ow.ly/7qR3e.